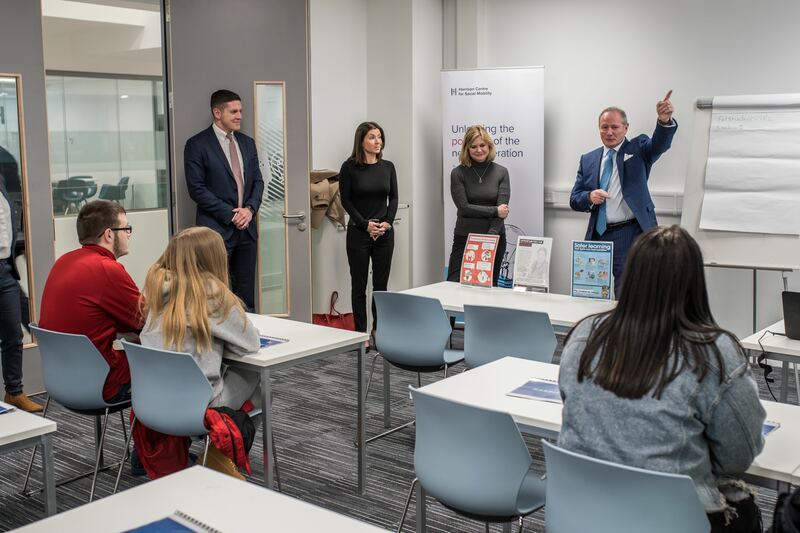 Students on Wearside are being given the chance to show their entrepreneurial streak and step inside the business world by designing new mobile phone apps, following a visit by a former Cabinet minister. Justine Greening MP, the former Secretary of State for Education, joined north east entrepreneur David Harrison, on a visit to the Beacon of Light in Sunderland. As part of their studies, students at the Harrison Centre for Social Mobility (HCSM), which is based at the Beacon, are learning about business and enterprise. Now they have been challenged to come up with an idea for an App that will help people to manage their money and build up their savings. The Harrison Centre for Social Mobility was set up in 2017 and provides advice and finance to charities in the North East working with disadvantaged children with the aim of improving social mobility in the region. 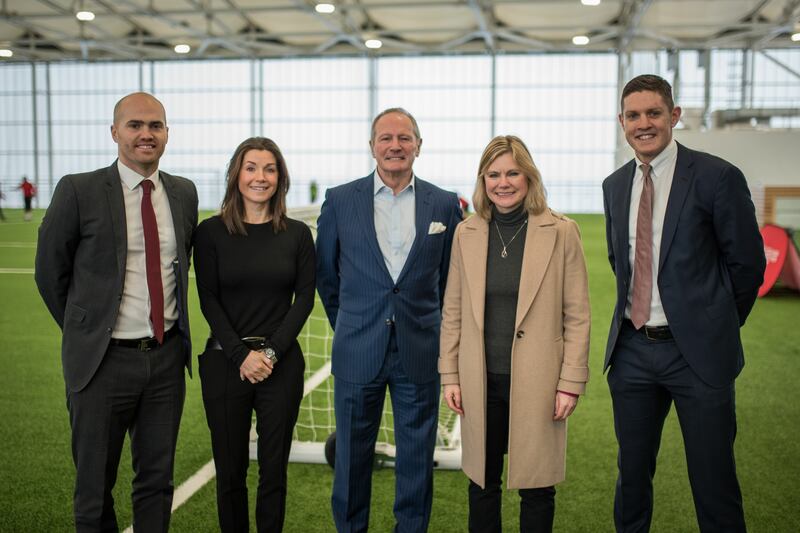 In June 2018, Justine Greening MP joined HCSM founder, David Harrison, to open its workspace at the Beacon of Light. As part of the students’ modules, they will now compete to design the app, with the winning team scooping the Harrison Prize, consisting of £1,000 and the chance to join a team of app developers at David Harrison’s financial technology business, True Potential. Last year, Justine Greening and David Harrison founded the national Social Mobility Pledge to level the playing field and address the lack of social mobility in Britain. Research carried out by the Social Mobility Pledge, involving over 2,000 people shows that the majority of UK workers believe progressing through the ‘class-ceiling’ is harder for young people now than it was decades ago. The poll asked people aged 18 to 64 to score how easy it is to get on in life regardless of your background in the UK. With one being ‘very hard’ and 10 being ‘very easy’, an average score of five was registered – although 25 per cent of respondents rated it ‘hard or ‘very hard’. The Social Mobility Pledge is tackling this by encouraging businesses throughout the UK to work with local schools, provide apprenticeships and use fair recruitment practices. Some of Britain’s biggest high street names have signed the Pledge, including John Lewis, Tesco, Hays Travel and Greggs. In total more than 1.8m employees across the UK are covered by the Social Mobility Pledge.